The panela agro-industry is one of the principal economic activities in the Andes region of Colombia. It provides income for more than 70,000 farming families, who serve the significant domestic demand for a product that is rooted deep in Colombia's urban and rural consumer traditions. It involves 350,000 people including producers, workers, traders and others and generates the equivalent of 120,000 permanent jobs. Colombia has the notorious designation as one of the countries with most internal displacements in the history of humanity, nearly 7 million as of 2016. A fifty-year civil war, violent drug cartels and economic downturns have forced hard-working farmers to leave their land. In recent years, the Colombian government has created programs to help develop local economies around the production of legal, in-demand agriculture products. 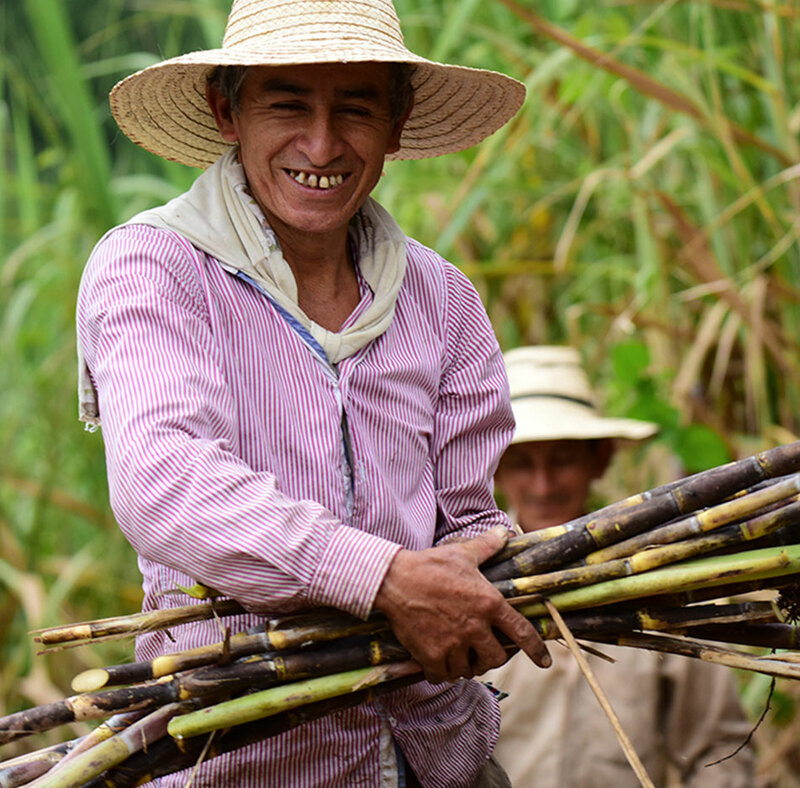 A nonprofit entity by the name of FEDEPANELA supports panelero farmers - those farmers that make their livelihood harvesting sugar cane and producing panela. 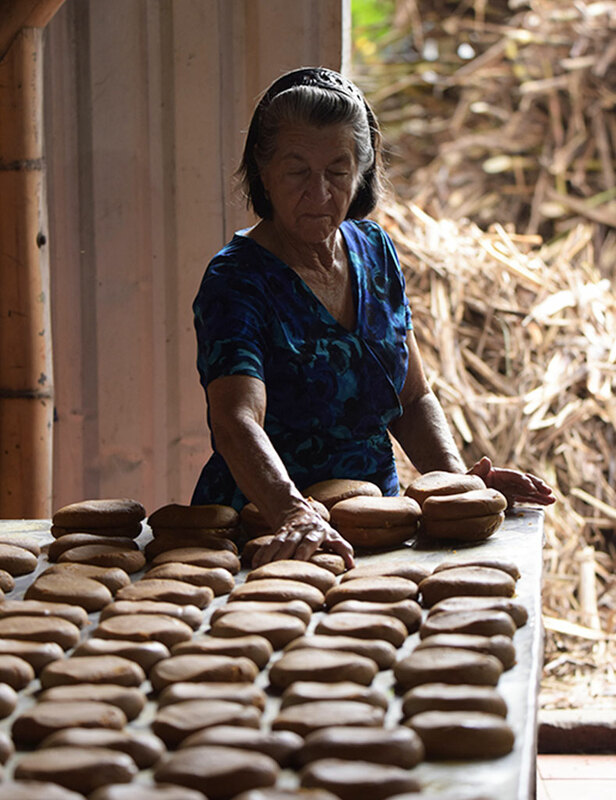 FEDEPANELA supports farmers by giving technical expertise and best practices for the production (including sanitation), packaging and sale of panela. FEDEPANELA also helps to market panela and connect locals to buyers like Nela. Nela is committed to supporting the development of the growing panela industry in Colombia. Therefore, we pay a premium for our locally sourced sugar cane. This directly translates to economic growth for panelero farmers and their families. Nela sources, produces and packages all of its panela in the Quimbaya region of Colombia. This means that the farmers sell us finished product rather than a raw material, which allows them to earn a livable wage. Contrast this with the sources of other sugars and sweetener products where the raw product is imported from various countries at a very low price, and then refine, process and package it in the U.S.
Our panela comes from Quimbaya, but the farmers are generally from Nariño. They come to Quimbaya during the week and then return to their families on the weekend. Despite the proximity between both regions, the folks from Nariño have a thick accent (similar to the Ecuadorian accent) and the folks from Quimbaya have a paisa accent, typical from the coffee triangle region. It is always fun to see all the banter caused by their difference in accents.